Okay, well, let's just come right out and say it: this was a pretty bad year at the show. By some strange miracle, I'd had a really GOOD show last year, so this year seems extra ouchie in comparison to that. Frickin' economy. Having gotten that out of the way, let me clarify that I absolutely love this show, so having a bad year doesn't change anything. I'll be back, and I have a lot of really good ideas! It's like I've stumbled into some serious art mojo all of a sudden. I was up in Grass Valley from Wednesday through Sunday. The booth looked particularly nice this year. 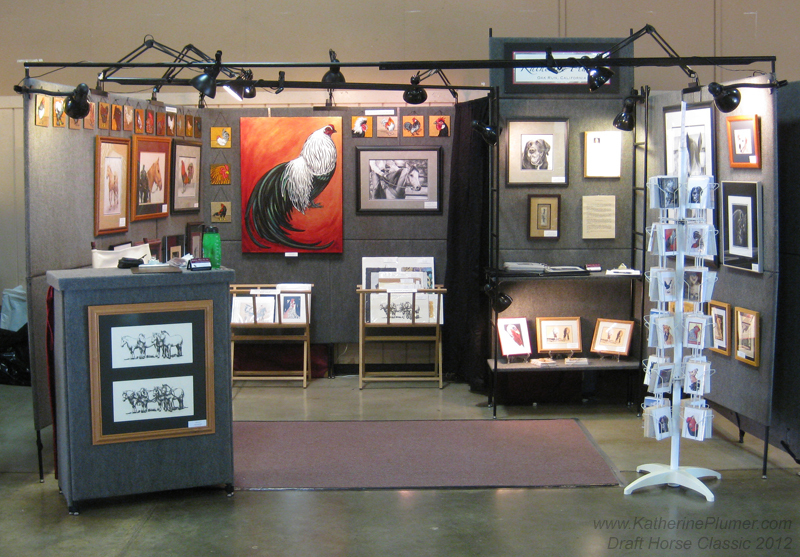 Since the number of exhibitors was down, we were able to spread out a bit, so what's normally a 10x10' cube got to stretch out to about a 10x13' booth, with open arms just waiting to embrace all those customers... I know I can't count on that in future years, but it looks nice opened up a bit! It was great to see my artist friends. I miss the ones who couldn't make it. It was great to see some of my friends who came to visit too! I did well in the show. 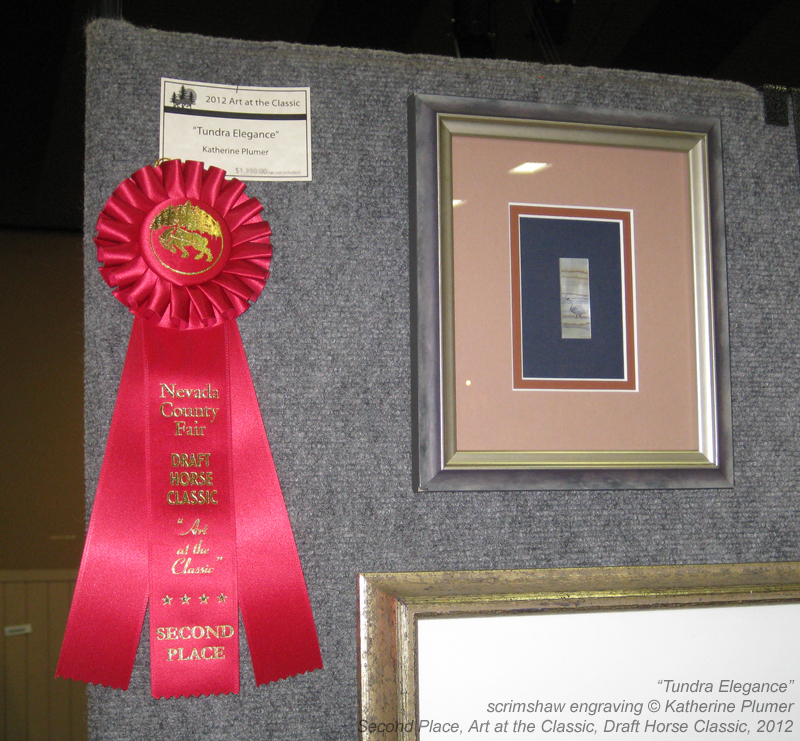 "Gwen in the Late Fall" won an Honorable Mention in the pencil category, and "Tundra Elegance" got second place in the Miniatures category. As always, thank goodness for note cards and chicken art! Great to see you at the Classic! Your booth was beautiful, and you KNOW how much I love your artwork. Definitely a beautiful booth. 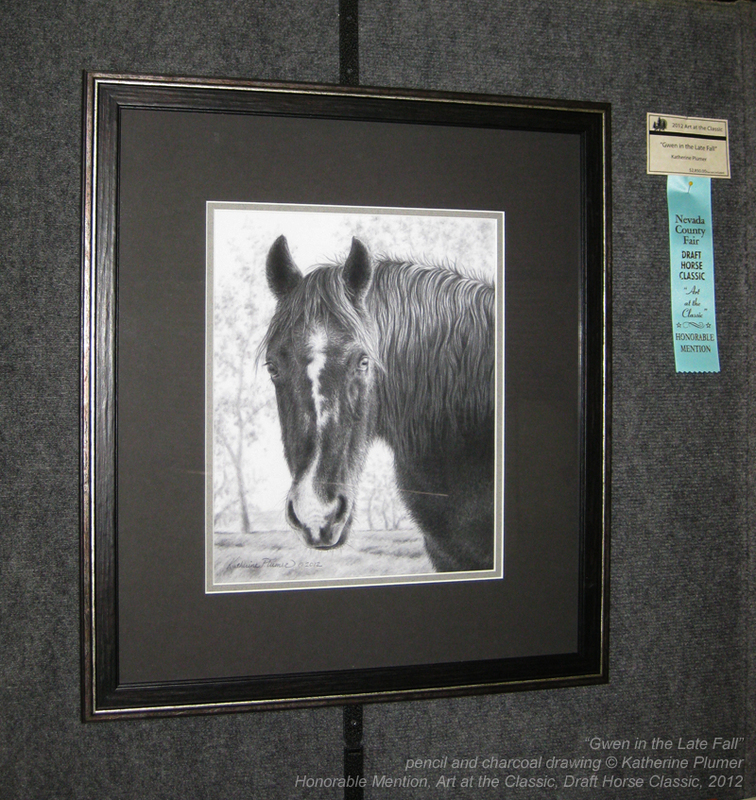 No matter how it's displayed, your artwork is amazing! Sorry to hear show was not stellar for you :(. Really great to see you Katherine :). Looking forward to next time & hopefully a chance for Wendy & I to make it up your way! 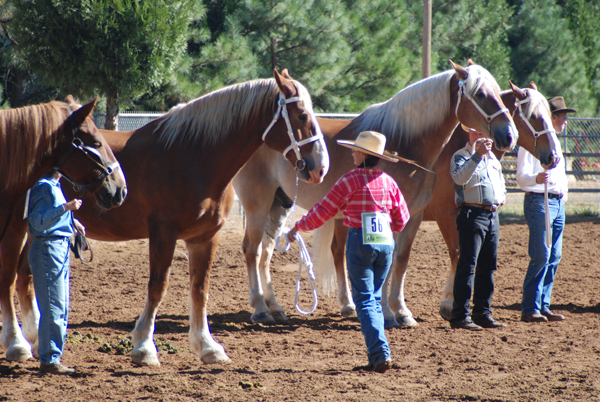 "The Stuff of Fairy Tales"
come to the Draft Horse Classic!